Mrs. Edith Ann McDaniel Price, 80, of Winnfield, passed away Friday, Sept, 7, 2018 at her home after a long and protracted illness. Mrs. Price was the daughter of the late Simon G. McDaniel and the late Audie Townsend McDaniel. She was also preceded in death by her husband, Larry L. Price; sister, Helen McDaniel Chapman; AND brother, Marvin McDaniel. Mrs. Price was a member of the First Baptist Church of Winnfield where she was organist for more than 50 years. She obtained her bachelor’s degree in music education from Louisiana Tech and her master’s in organ performance from Northwestern State University. 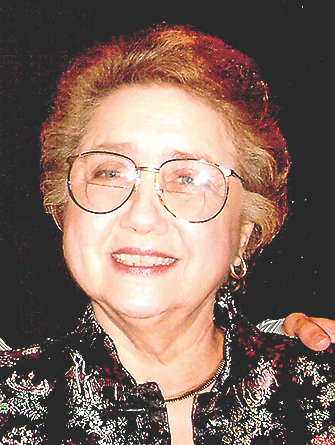 Mrs. Price was retired as a piano instructor having taught children from Winn and surrounding parishes for more than 50 years and was co-owner of Southern Funeral Homes Inc.
Those left to cherish her memory include her son, Patrick Price (Kathy); daughters, Laura Hennigan (David) and Ashley Naquin (Shawn); grandchildren, Evan Price (Brittani), Loren Price, Alyssa Hennigan (Hugo), Andrea Allen (Eaghan), Kandi Deese (Jody), Mandi Stevenson (Andy), Tobi Wiley (Chris) and T.K. “Bubba” Spillers; great-grandchildren, Jackson, Micah, Hayden, Hugo and a host of other special great-grandchildren. Funeral services were at 10 a.m. Tuesday, Sept. 11, at First Baptist Church of Winnfield with the Reverends Calvin Phelps, John Holland and Steven Smithson officiating. Interment followed in Garden of Memories under the direction of Southern Funeral Homes. The family received friends at the funeral home Monday from 5-8 p.m. and Tuesday from 9-9:45. Serving the family as pallbearers were Evan Price, Loren Price, David Hennigan, Shawn Nacquin, Eaghan Allen, Lamar Tarver, Bryan Price and Mark Maxwell. The Price Family wishes to extend heartfelt gratitude to her caregivers who became like family to her, Cathy Flowers and Geneva Ball and Jennifer and Samantha with Heart of Hospice. Memorials can be made to the First Baptist Church Music Ministry, P.O. Box 230, Winnfield, LA 71483.